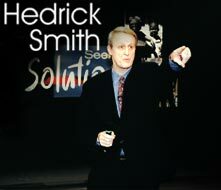 All information on this site is © 1999 Hedrick Smith Productions. All rights reserved. This Web site contains links to third-party Web sites. The linked sites are not under the control of PBS, and PBS is not responsible for the contents of any linked site or any link contained in a linked site. This site is providing these links only as a convenience, and the inclusion of a link does not imply endorsement of the linked site by PBS.